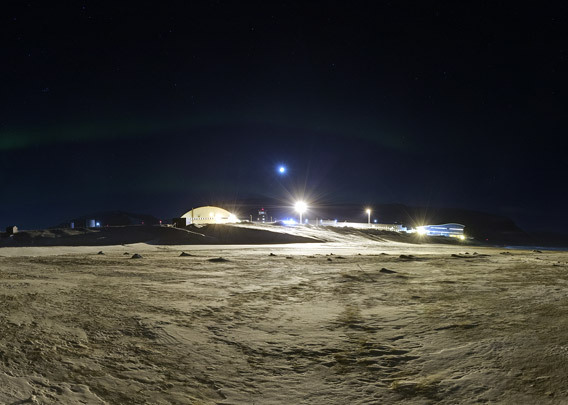 The camping site is at Hotellneset, close to Longyearbyen airport and next to the shore with a great view of outer and central parts of Isfjord. In good weather, the rugged mountains and wide glaciers on the northern side of Isfjord seem no more than a stone throw away, although it is almost 40 kilometres to Borebreen, the nearest glacier in view. Every summer, herds of Belugas are seen near the shore several times. 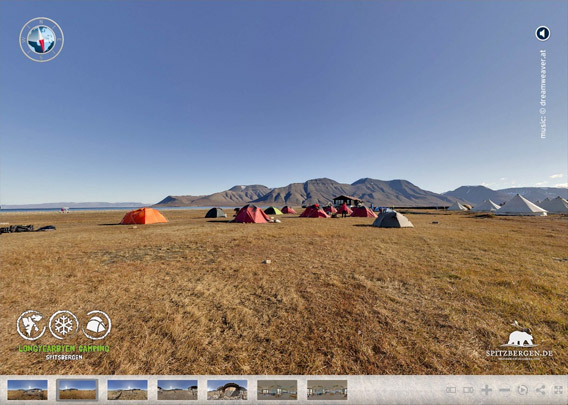 The tents are situated on a tundra plain on elevated beach ridges. It can be quite wet in the early summer, after the snow melting time. Not far from the camp site, Arctic terns are breeding on the tundra and between the coastal lagoons. Reindeer and polar fox are regular visitors. In high season, from late June into August, the camp site can be a busy place. It is the cheapest accommodation in Longyearbyen, and definitely closest to nature. It is not always sunny and calm. Many tent owners have found out that their equipment does not stand an arctic storm on this camp site. The service building has showers, toilets, cooking facilities and place to have a meal. Inside the service building, it can be quity lively when many are here for a meal. Almost everybody is either planning an exciting trip or just coming back from the field. This is the place to exchange stories and information. When it is calm in here and you have some time, it is a great place to hang out and enjoy the view. … Especially if you are lucky to see the northern lights!